The Midgard iPad Atlas was released last year. I created the map (more on that later) and the compass art. Today I’ll cover the different sketches that started the process, and the iterations between those and the final piece. Fire and ice – the northmen have come. Open Design has released Frozen Empires, the first regional supplement since the announcement that the world that holds Zobeck would be the world of Midgard. The christening of the world was a good opportunity to change the style of the world maps a little, and this is the first in the new style to be released. 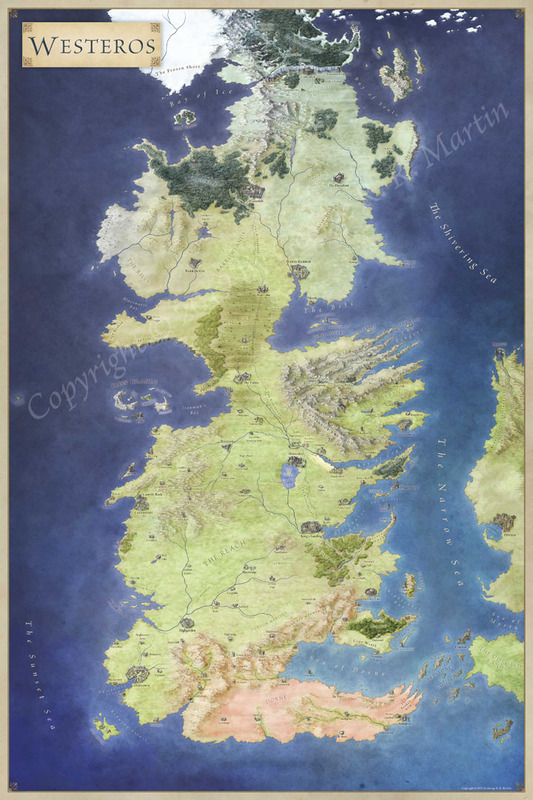 Here’s a low res version of the Frozen North (you can click the image above to see a larger version). The full size version appears in the Frozen Empires pdf, and print versions. Check it out! The Final Midgard Logo Revealed! In the last Kobold Courier, the kobolds of Open Design revealed the final Midgard logo, completing the set. So here it is in all it’s glory. As befits a world born of fire and ice, this one is bitterly cold. This was designed for use in print at 2.5 inches wide. The smaller scale meant that the dragon’s head needed to be scaled up so it would still read well at small sizes. This also meant that the central letters needed to be nice and large. You can find out more about the world of Midgard here and get involved in building it from the ground up. You can find the rest of the logos for the world in my Logos and Heraldry gallery. Author JonPosted on February 3, 2011 January 7, 2013 Format AsideCategories LogosTags 4e, design, dragon, dragon age, fantasy, kobold quarterly, logo, midgard, open design, pathfinderLeave a comment on The Final Midgard Logo Revealed! We found out earlier this year that the world of Zobeck is really the world of Midgard, and the new material for the setting would be carrying the new branding in the future. I got the gig to design the logo, and this turned out to be not one logo but many. Now more of the logos have been revealed, I can show them off here (spoiler – there’s still one more to come). Open Design has released their latest patronage project – the Tales of the Old Margreve. It’s set deep in an ancient forest of dark happenings and lingering curses. The final logo officially appeared for the first time in this month’s Kobold Quarterly so I can finally share it with the world! This is actually one of the five final logos – but you’ll have to wait for the others.